Wish your dog would listen? Get improved attention on you from just one lesson. I provide a six week training course for dogs of all ages and abilities. I provide six-week training courses for dogs of all ages and abilities, including a puppy class, advanced and an on-going rolling class for dogs of all abilities. During the six- week course I will teach you how to train your dog to do basic obedience behaviours such as sit, down, stay, loose lead walking, recall etc at varying levels. Alongside this I will also be teaching you how to recognise the different mood states in your and other dogs which can be seen in the moment in the class setting. How to recognise and manage stress and reduce this in your dog. Also, importantly how to build and maintain a strong bond with your dog. I will be focusing on how to develop and use your relationship with your dog to build trust so that you are working in partnership. I will be using positive reward based training to help you to teach your dog new skills and behaviours. I will also help you to find ways to manage potentially troublesome behaviours such as jumping, mouthing/chewing, house-training issues, etc. After each class, I will email individual attendees with feedback and written versions of the exercises covered. You will also be provided with a range of relevant handouts throughout the course. 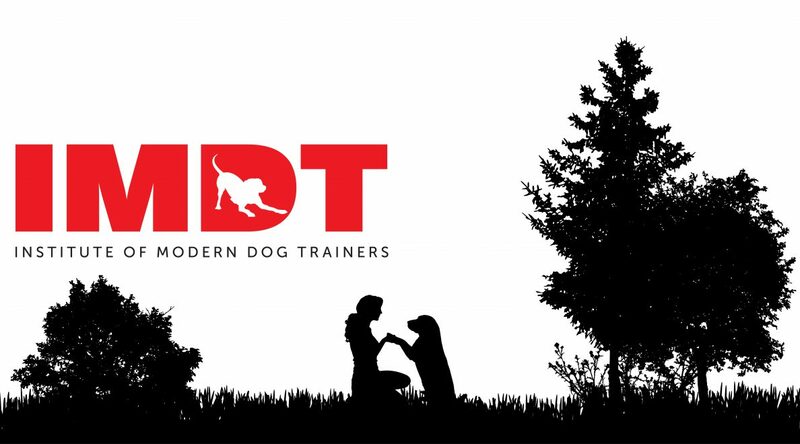 In the past dog training was very much based around controlling your dog; being the “Alpha” and demanding respect and complete compliance from your dog. Much of this method of training used forceful manhandling techniques to manoeuvre your dog into the required positions and actions and the use of “positive punishment” (hitting, tug on collar, use of choke chains etc) when your dog got it wrong or did not comply with your instruction. Fortunately, research has caught up with what most of us would see as common sense; that like people, dogs learn quicker and more effectively when they are relaxed and the learning is fun. Next courses start 31st March, places available for booking now. I also now run a rolling class where we build on basic training as well as teaching fun and useful trick training. These are £15 per class or £75 for a block of six. You just pay for what you attend so if you buy a block of six but have to miss a week or two you don’t lose out, you come when you can until you have done the six you have paid for. “Wonderfully relaxed atmosphere. The dogs thoroughly enjoyed socialising and the learning was easy”. Many people find learning in a class beneficial as they have the support and camaraderie of others, all learning together. They are able to see that people and dogs learn at different speeds and in different ways which can help to reduce pressure on the owner to get things right straight away. Those that learn best by seeing demonstrations will have numerous opportunities to see and learn what to do and what not to do. The ability to share experiences of trying to put exercises into practise away from the class can be a valuable learning tool. Each person can bring different challenges and examples of problem solving back to the class which means a wealth of knowledge and learning can be shared. Training a dog in a class means that the dog gets experience of practising with the distractions of other dogs, people and noise which could make it easier to transfer to real world situations. It also provides a safe and fun socialization opportunity for your dog. Where are your training sessions run? I’m trying to figure out if I can get to you – I don’t have a car and I live in Cambridge. I hold the classes at Hinchingbrooke Country Park. There is a bus stop by the hospital from which you can walk down to the park. Alternatively if you would prefer 1:1 training, I can come to you but I would need to charge a little extra to cover petrol costs. Thanks Carrie. Could you give me an estimate of the cost of 1:1 training? 1:1 is £20 a session plus 25p per mile for petrol after first 5 miles. Thanks Carrie. May I book two sessions? Yes of course. What dog do you have and are there any specific things you would like to focus on? I can do this Sunday or Monday afternoon if that suits you? Great. Sunday would be good (as long as it’s not too early!). Aliki is mainly a dachshund but overall I prefer little mongrel! She’s around 6 kilos, is fantastic off the lead, never straying when we walk on the Common. She’s not great at coming when you call her; she’s a bit awkward on a lead – crossing from left to right regularly; and she goes crazy when she’s in the garden and anyone walks past the garden gate etc – although don’t know if anything can be done about this one. Aliki sounds like a lovely girl, I look forward to meeting her and we can work on those little issues. Would 2pm be ok? I have my classes in the morning. Great, see you both then. Hello Carrie, I hope this email finds you well ? I’m enquiring about puppy training ? I have an 11 wk old jack Russell terrier, Tarquin. We would like to make sure he grows up into a confident young man with manners and social skills. He’s quick to learn and very food orientated ! His last injections are on the 5th may so obviously we need to wait till he’s fully inoculated. When could we start your classes ? Thanks for getting in touch. I’m glad to hear you want to help Tarquin get off to a good start in life. The sooner you start training and socialising, the better. I have a new course starting on Sunday May 21st at 11.30 at Hinchingbrooke Park. The classes last an hour and run for six weeks. They are £15 per class, if you pay upfront for the whole course or attend the first five, the last one is free. I use positive reward based training and teach you how to understand basic dog body language and communication. Each class is followed up with written information on the exercises we have covered in the class. If you are interested, I can email you the registration form to complete and return. Thank you for your prompt response. Please would you send me the registration form as we would love to join your class. Tarquin and I are looking forward to meeting you. Thank you Jackie, I have emailed you the registration form. I look forward to meeting you both 😊🐶. My puppy is 8 months, she has basic training (sit,leave,stay,etc) there are still a few issues I’d like to have a one to one if possible? I’d be happy to arrange a one to one with you and your puppy. If you can give me your number, I can call you when convenient or you can ring me on 07828249548. I’m about to go to a training session now so some time tomorrow might be better to discuss. I look forward to speaking with you. We’ve got a 5 month old springador named Zelda, overall training is going well and she knows her basics but we struggle with getting her to listen or focus when out on walks and when she’s at home she’s quite hyper. She gets two walks a day and lots of my focus but I feel like she’s struggling to settle after she’s been home most of the day by herself. Would love to get some training, either one on one or in classes to make both of our lives happier and more relaxed. Thanks for getting in touch. I’d be happy to see what we can do to help you and Zelda (great name!). My classes are full at the moment but I think 1:1 might be better anyway to focus on the specific issues you’re having. If you’re happy to give me your number I can give you a ring or you can call me on 07828 249548. If I can’t answer, I will call you back as soon as possible. I was just wondering if you had managed to find somewhere for your next 6 week training session. Woody is a 4 month cockapoo and up to date with injections so all ready to go. We take him out 3 times a day but sometimes we find we are pulling him along as he is constantly stopping and sniffing etc and wants to follow every person, dog and bike. He is starting to learn the word sit, but would love him to understand drop and no 🙂 as in to absolutely everything. Also how do you teach them to tell you they want to go outside for toilet. Hi Lisa, thanks for getting in touch. I will be running a new course of classes in January but I can do 1:1 in the meantime. Puppies are hard work and it sounds like you are doing your best for him. With 1:1 I can come to you and tailor the training to suit your individual needs. If you would like to arrange a session please email (contact@carriebatesdogtraining.com)or message me your number or call me on 07828 249548 and we can have a chat about what will be most helpful to you. I am getting a Roti/DDB puppy at the end of September and wondered if you are doing any puppy classes around then and if you could suggest what treats and toys would be good for him. Thanks for getting in touch. You must be very excited to be getting your new puppy! I am doing classes through September and the next course should start on Sunday 21st October. Your puppy should have had all his vaccinations by then if you would like to join? There are lots of puppy treats available but I also use chicken, sausage and cheese in training. Just try small amounts at first to make sure he is ok with them. I’d recommend strong chews for your breed of puppy. Kong and Ruffer and Tuffer make some good ones. Freezing flannels or rag/rope tug toys can be really good for teething as the cold is soothing as well as making them harder.